The Savoy Hotel was and is one of the leading hotels of London if not the world. The hotel was built by Richard D’Oyly Carte on the ruins of the old Savoy Hospital and was the first luxury hotel in the UK. 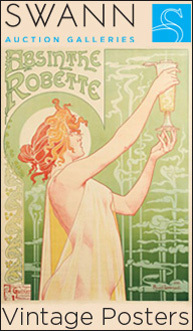 The hotel remained in the Carte family until 1998. 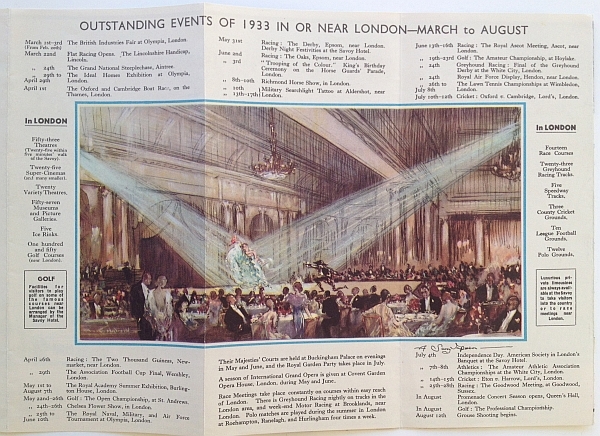 The brochures below were issued in 1933 and the covers feature cutting edge art deco designs. Art deco designs had emerged in Paris in the 1920s (especially the Exposition internationale des arts décoratifs et industriels modernes held in Paris in 1925). As the art deco design style spread in France it eventually made its way to the UK. The first brochure is signed “Longley.” I have been unable to find a reference to the artist. 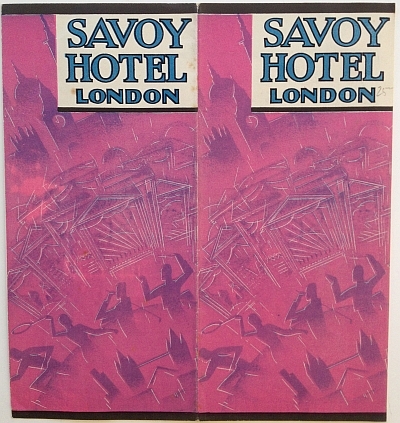 These brochures capture the mood and spirit of travel, viagra usa cialis luxury hotels, viagra sales thumb dining, sports, and dancing all supporting the aura of the Savoy Hotel as represented by the friendly doorman at the top of the brochure. No need for a (boring) photo of the exterior/interior of the hotel. These images are far more evocative of the mood then a plain photo would be. 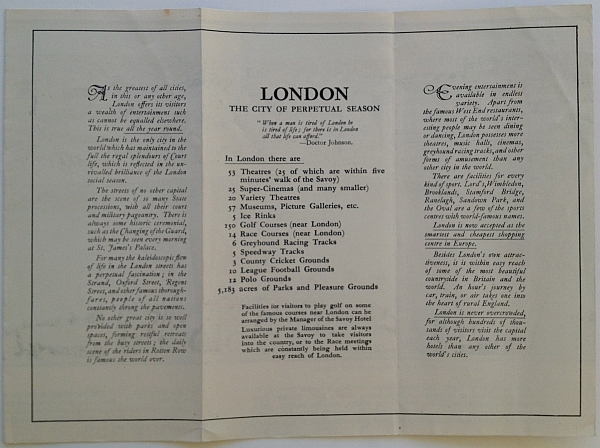 The second brochure, issued as part of the same marketing campaign, is unsigned. 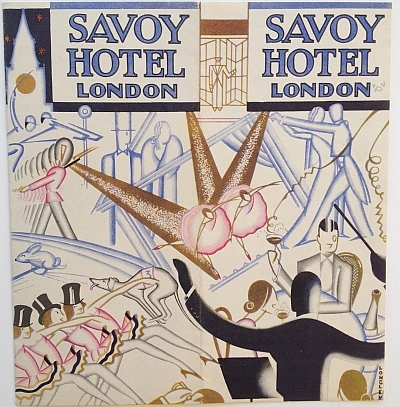 The cover image again alludes to the sites and activities of London: sightseeing, tennis, golf, music, performances, all enjoyed from the luxurious base of the Savoy Hotel in London.